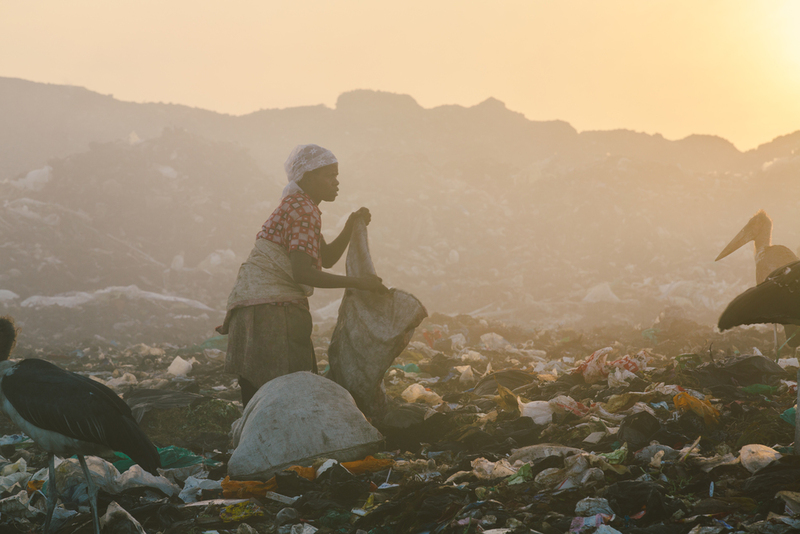 While their livelihoods depends on the trash dump, most of these children and families do not live on the landfill itself. They live in the community directly surrounding it that is very impoverished and lacks many basic resources. People get to the trash dump early to avoid the extreme heat mid-day. Here a woman picks through the trash trying to find anything of value. While not always common, we do see houses or shacks on the landfill where people will live daily. Years after a trash dump is shut down, people pick through the remains by digging craters into the trash searching for something of value that may still be there. Here a boy stands beside a trash truck that just arrived from the local airlines. The people are excited because this contains left over food from the flight earlier that day that they will try to consume. 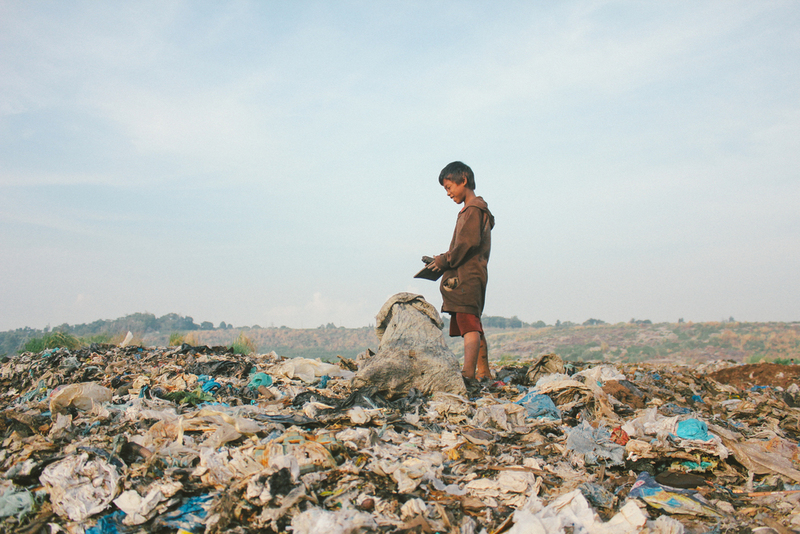 This boy rests at the trash dump before he continues to look through the trash for something worth keeping. This may include, copper, tin, plastic or other types of metals he can sell to the local recycling shop. A fire burns in the distance that was either started by a worker trying to burn off the outer layer of the wire to expose the metal or it was started through the combustion of the gases below the surface. Growing old in a trash dump community is not easy. Common sickness includes asthma, diseases, worms and at times, much worse sicknesses. With no medical help nearby and not enough money to see a doctor, people are left to fend for themselves. It is very common to see children and adults working and playing the trash dump in a very basic pair of sandals. These people do not have the correct safety equipment to be working in these dangerious conditions. In each country one bag of recyclables vary in price. A rough estimate for recyclables is about $.15 a pound. Wages are very low and not nearly enough to live properly. Both young and old work in the trash dump. This is not an easy life and it takes a toll on their bodies. Here you can see the community that surrounds the landfill in the distance. One of our partner programs is situation directly in the middle of this picture close to the trash dump.